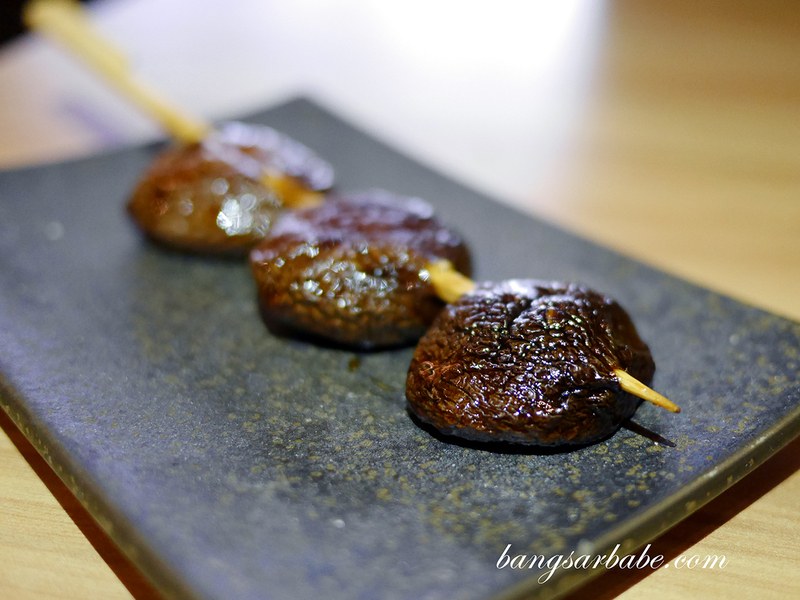 Yakitori is clearly the main feature of Tabe Tomo in Plaza Batai, Damansara Heights – Japanese style skewers, grilled over charcoal fire till juicy perfection. 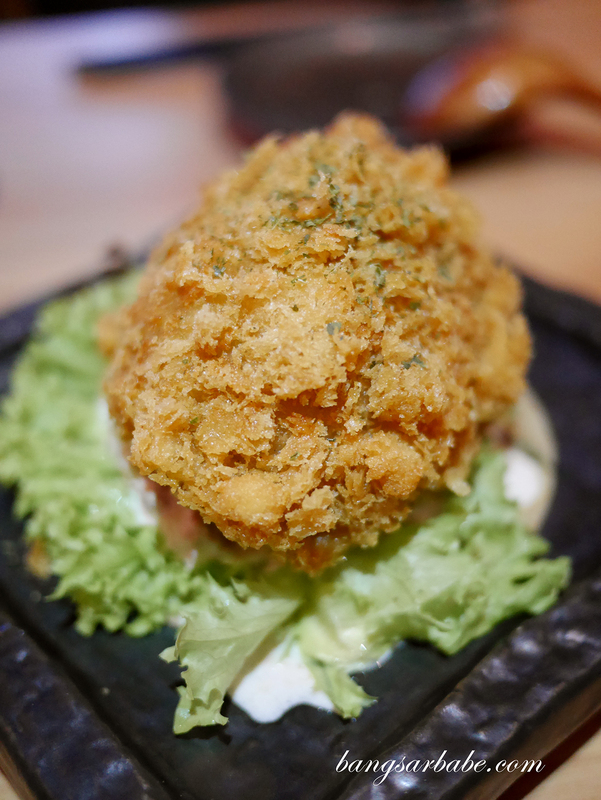 The menu is modern and also offers other non-yakitori items, like chicken stew, croquette and mentai udon. 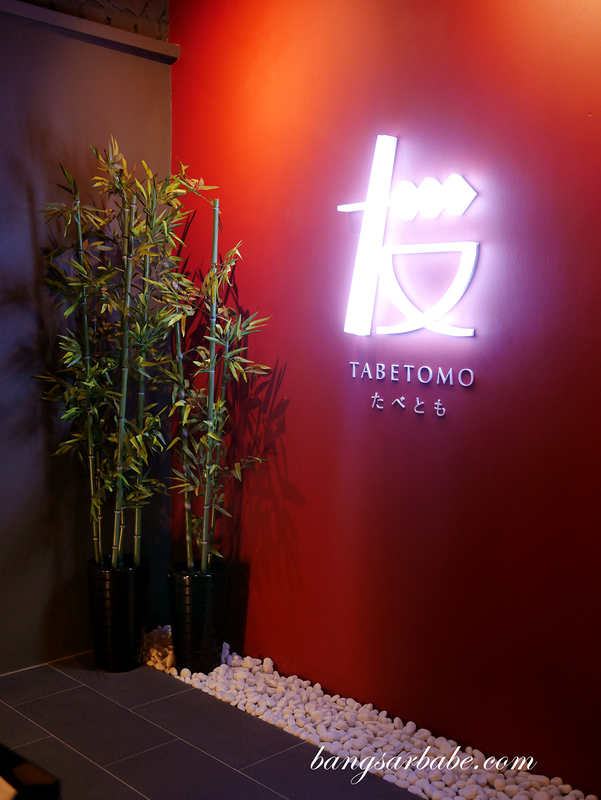 Tabe Tomo (eating buddies in Japanese language) aims to bring people together over a good meal and quality drinks. 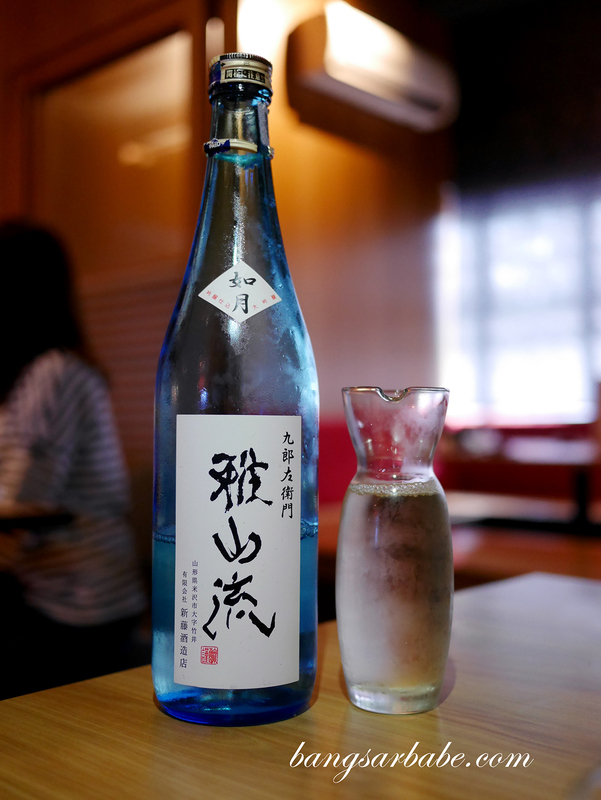 The latter is supplied by the restaurant’s distribution company, Nomi Tomo Sake. 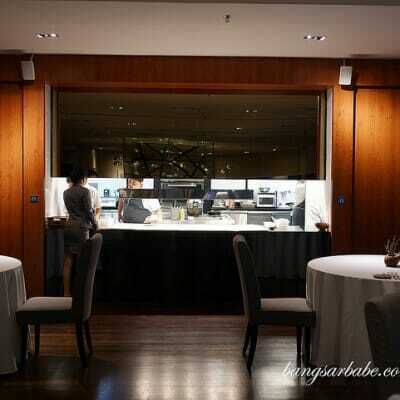 The interior is spacious with warm lighting, and private dining sections are available upon reservation. 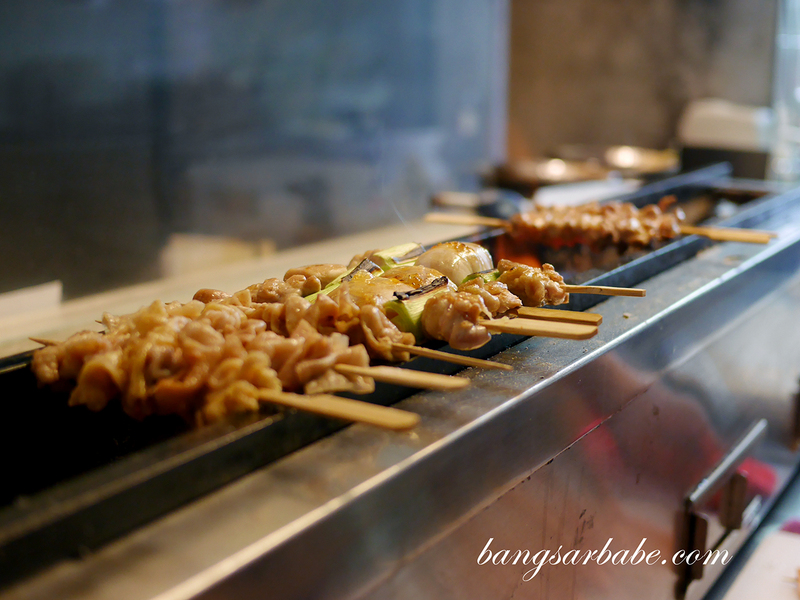 All items are ala carte; each skewer comprises four to five bite-size pieces of meat or vegetables. 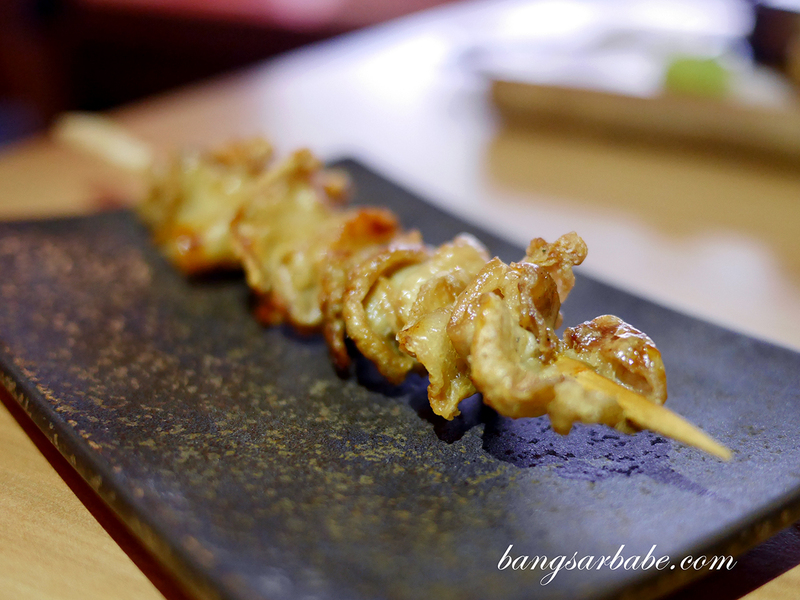 For chicken, almost every part is used for yakitori – thigh, breast, soft bone, liver, gizzard, heart and bishop nose. 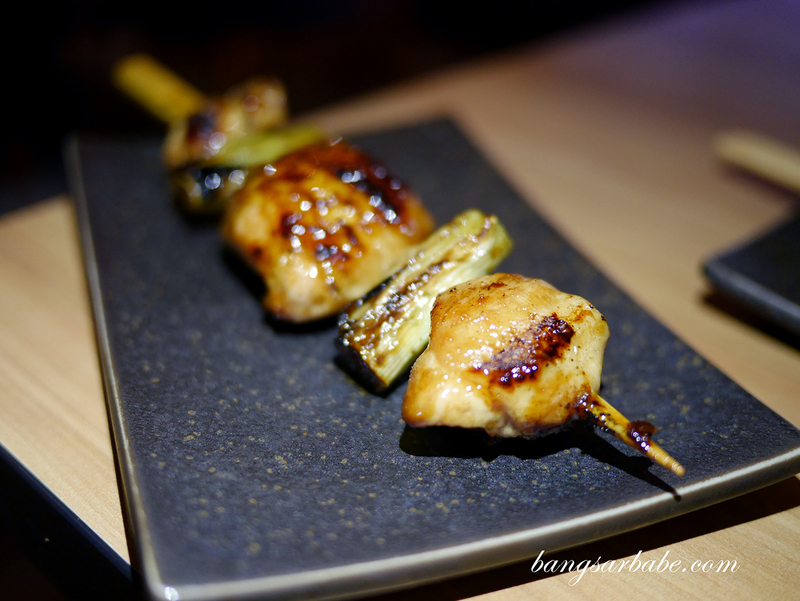 When I visited, I found the yakitori items to be quite commendable, especially the chicken heart which I’ve grown to enjoy very much. 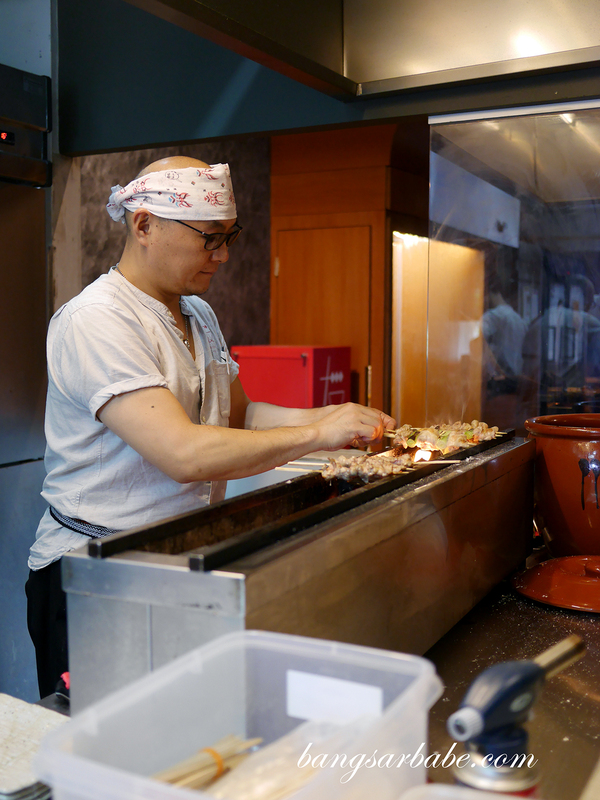 I also liked the grilled mushrooms and chicken wings – both nicely prepared. 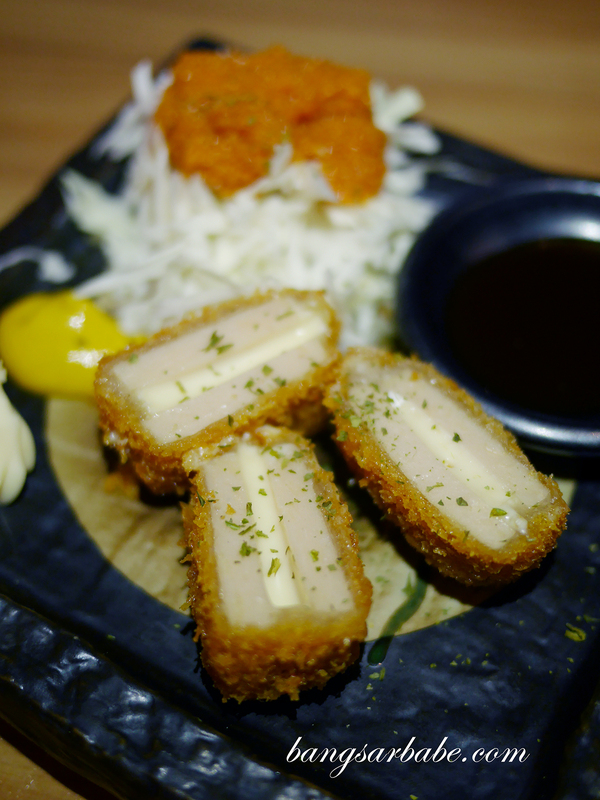 Also delicious was the yakitori Sumoku Chizu (RM8.50), homemade Japanese smoked cheese grilled till the exterior is lightly crisp. 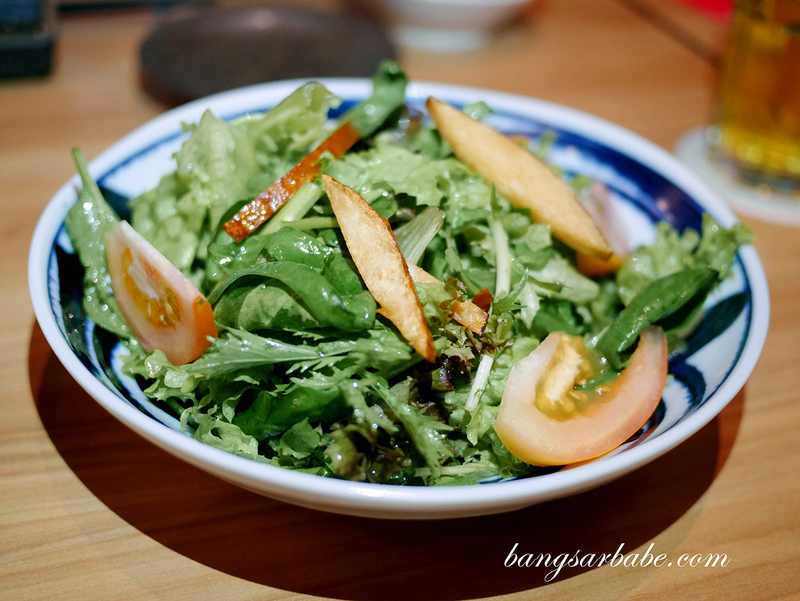 Tabe Tomo Salad (RM20) combined garden greens with egg tartar and avocado slices, which was rich and packed with flavour. 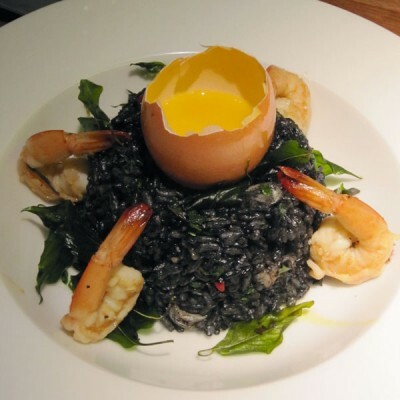 I liked this better than the fresh watercress and baby leaves salad (RM18), a lighter option for small eaters. 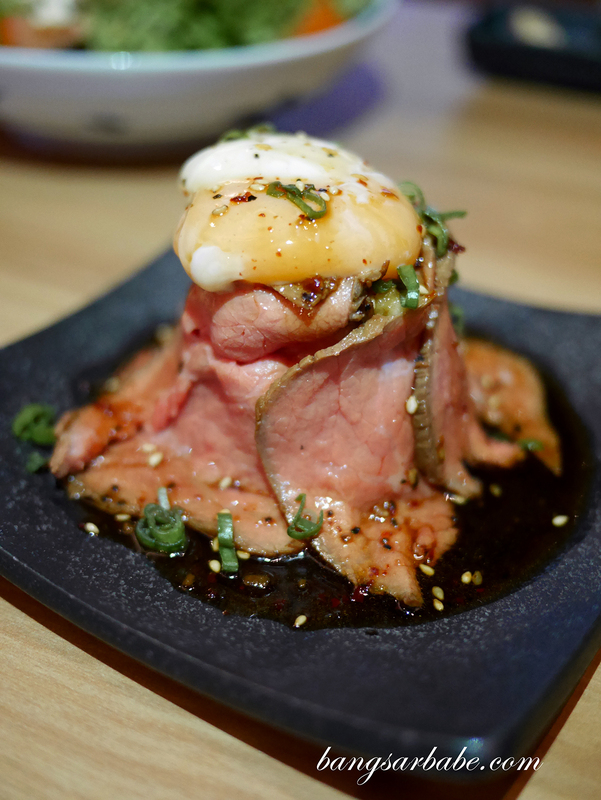 Jien and I had mixed opinions about the Rosuto Bifu (RM40), a sumptuous treat of fluffy mashed potato with tender slices of roast beef and a soft-boiled egg on top. I found this combination rich and deeply satisfying, while Jien thought the potato and egg overpowered the flavour of the beef. Do note that this is served chilled. 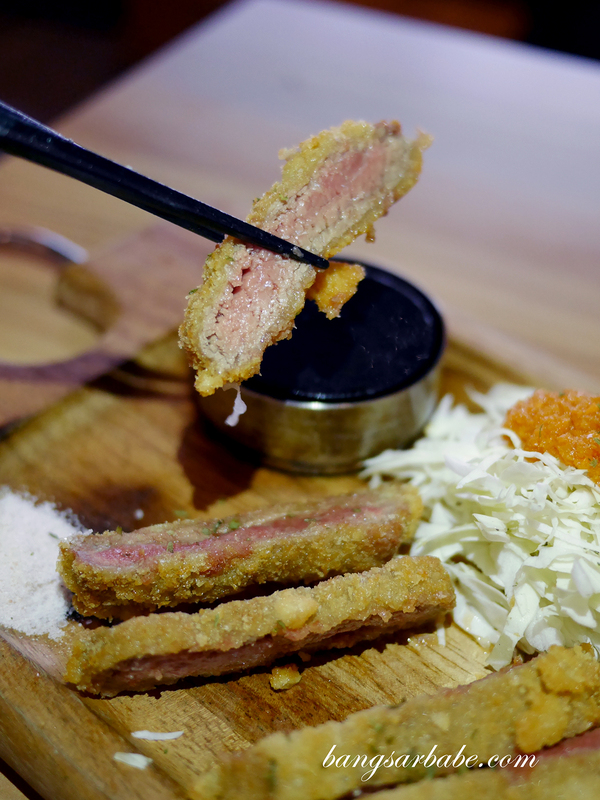 The Ushi No Shio Raekatsu (RM65) features medium rare katsu Angus beef which you can grill to your preferred doneness. 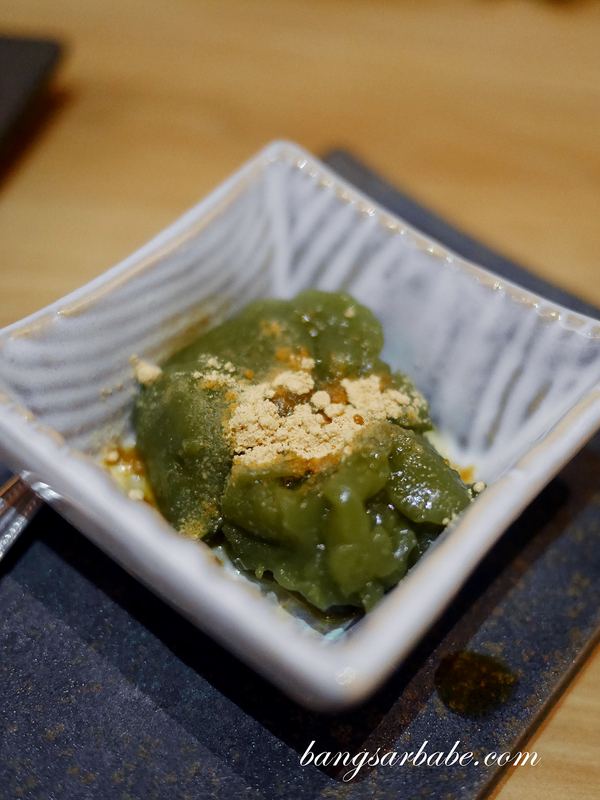 This comes with a small hotplate on the side and you basically add salt and wasabi as per your liking. Good stuff! 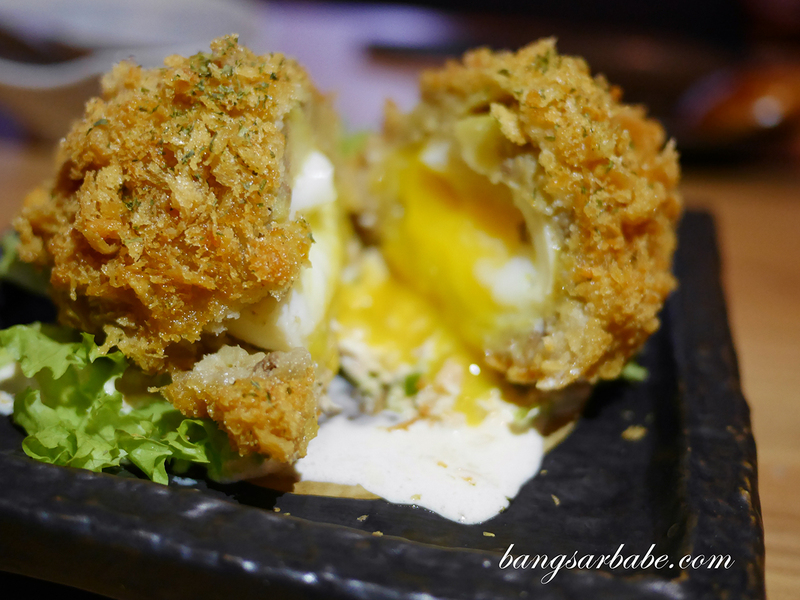 Tamago-Korokke (RM16) is a croquette of minced meat and potato patty with a half-boiled egg at the centre. 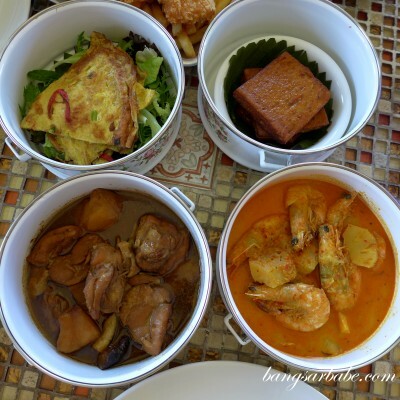 Portion is good for 2-3 pax, as you’ll want to keep stomach space for other food items. 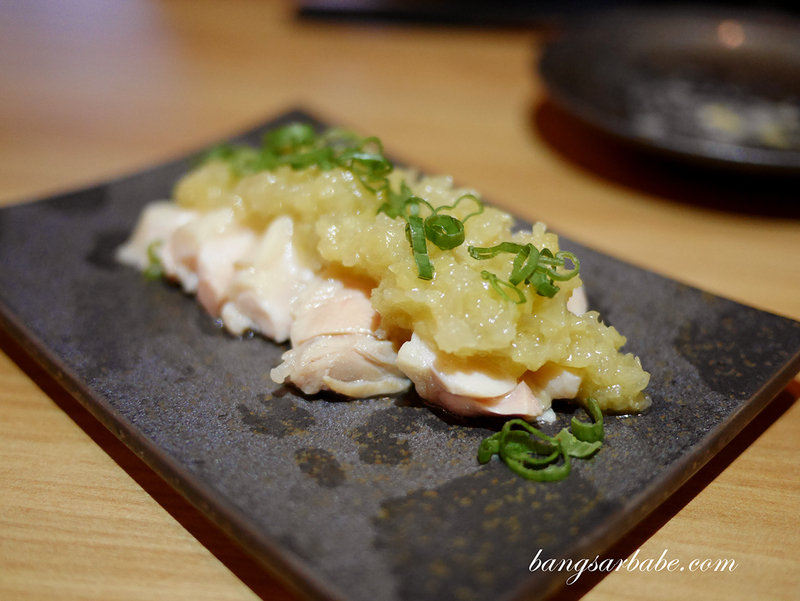 The Negi Dori (boiled chicken with homemade ginger sauce – RM12) makes a good cold appetiser but it reminded me of chicken rice, which isn’t my thing. Jien liked this though. 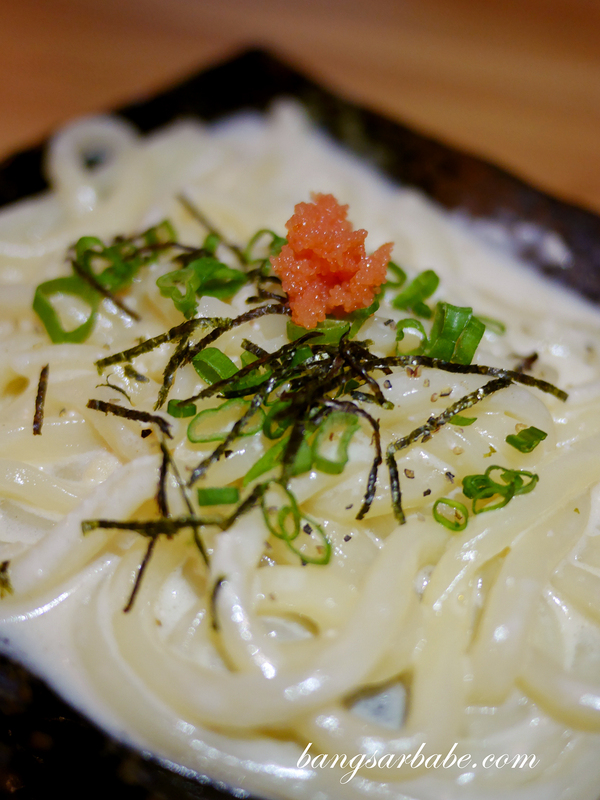 Udon options include the Mentai To Sirasu No Kuri-Mu (RM16), a cream-based udon with mentai on top. Decent, but I liked the Toridashi Ramen (RM15) better. 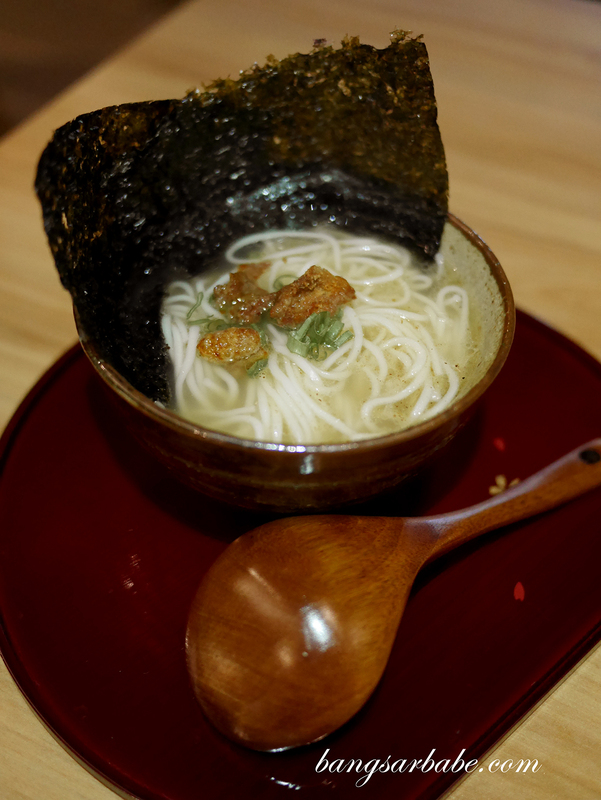 The latter comprised justly cooked ramen noodles in a stock made with chicken and bonito. 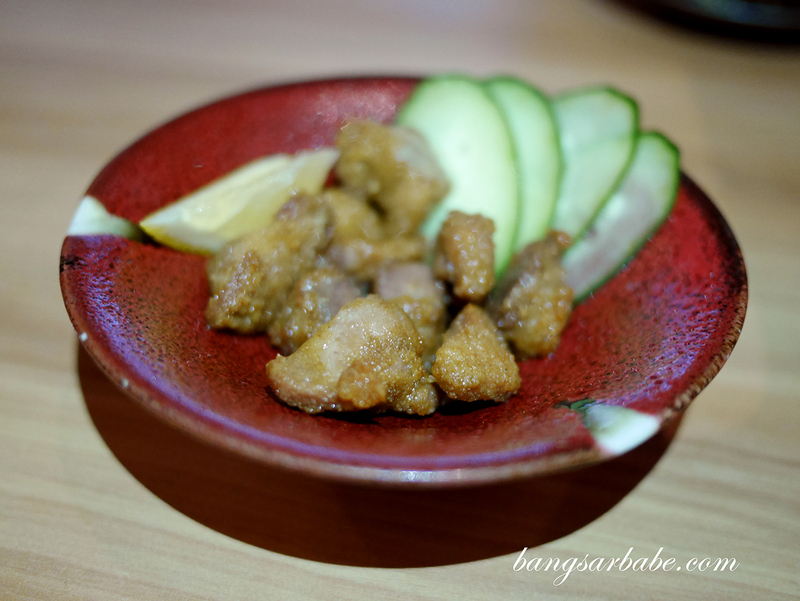 I couldn’t help but equate the Yakisaba-Don (RM16) to Taimeshi, which I tried in Ehime a couple of months back. 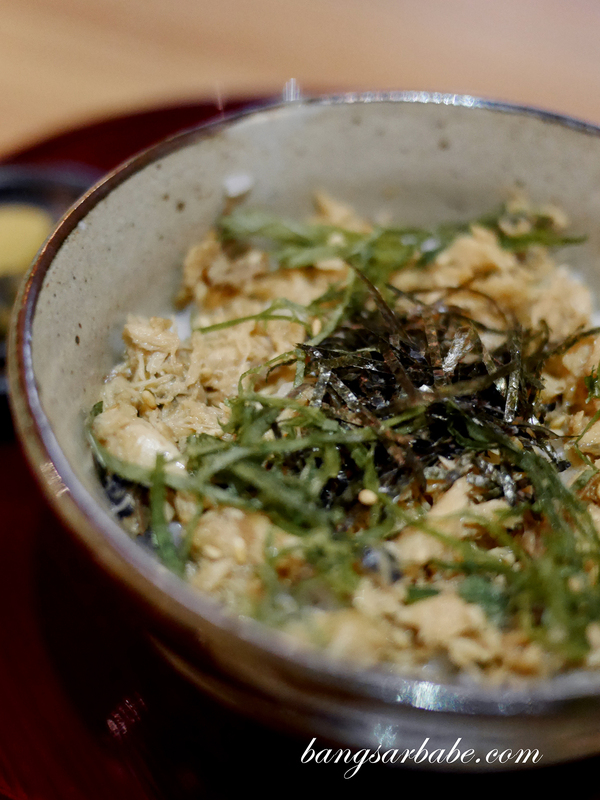 Tabe Tomo’s version features grilled mackerel, shredded and deboned, and serve on top of a bowl of steamed white rice. Simple but nicely done. 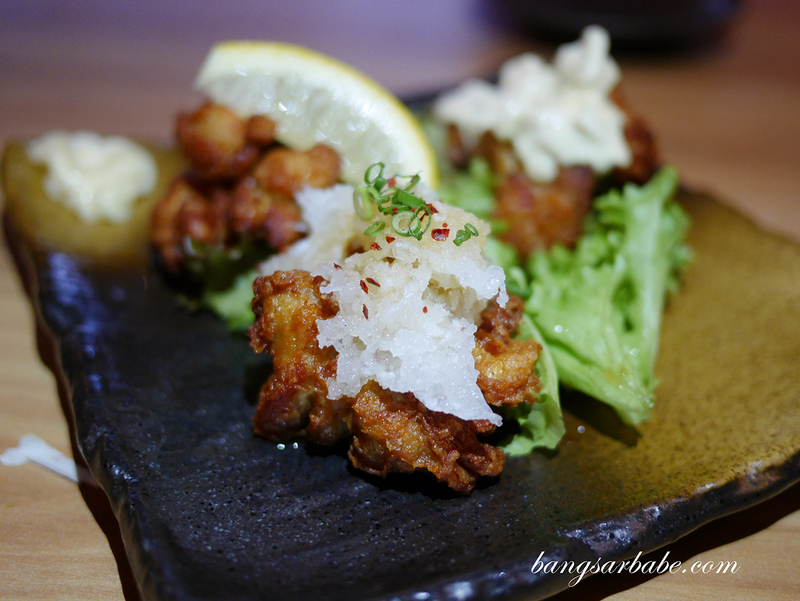 The Tori To Gyun No Shionikomi (RM16) was so good, I finished it within minutes. This was a slow-cooked stew of chicken and beef, where the gravy was thick and terrifically seasoned. A bowl of white rice would have been perfect. 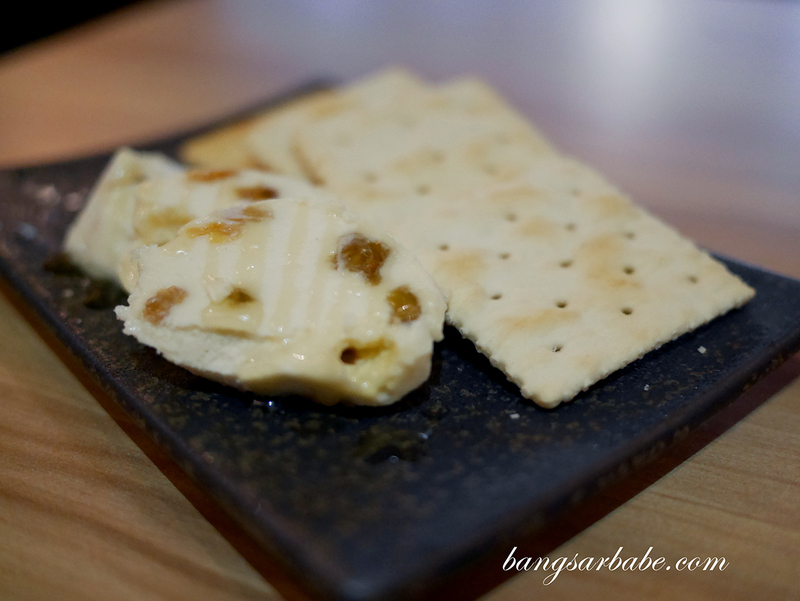 The Rezunbata (RM14) is Tabe Tomo’s best seller where crackers are served with cream cheese raisin butter. 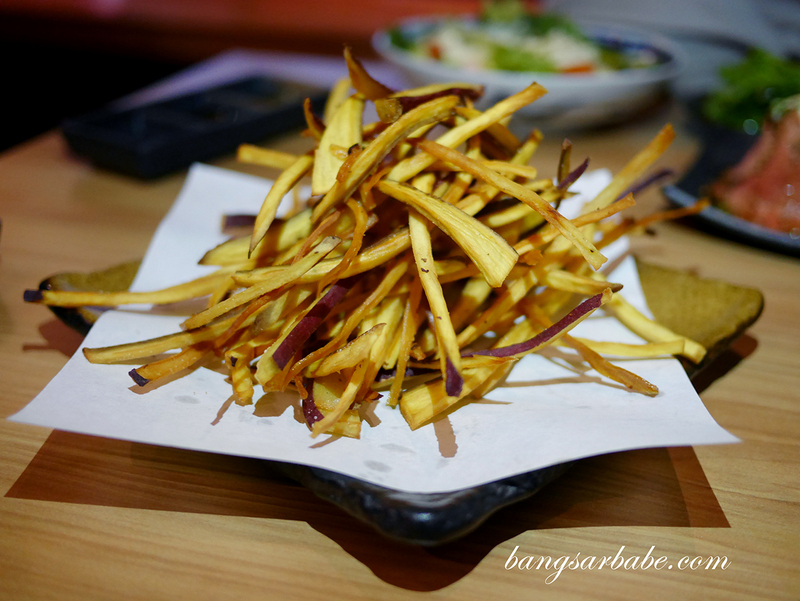 This was insanely addictive as the tangy-sweet accents from the raisin complemented the creamy nature of the butter. And the cream cheese didn’t overpower the overall nature this dessert. 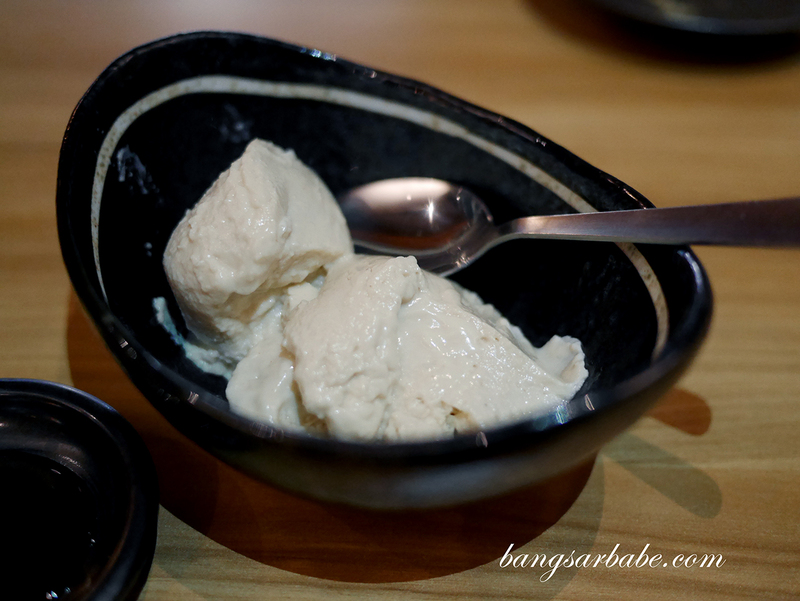 Goma Tofu (RM10) is a lighter alternative for dessert, but one that is equally as good. 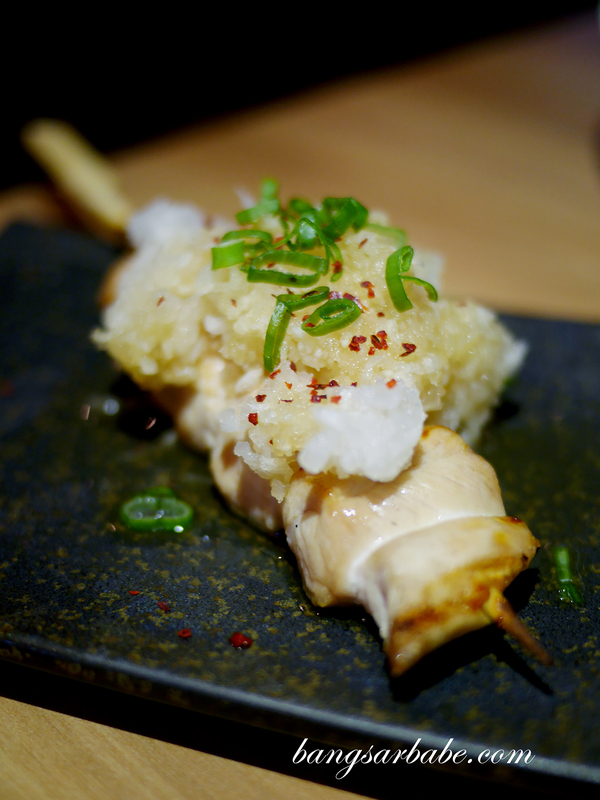 The sweet sesame tofu is made in-house and served with a drizzle of honey to accentuate the flavour of the goma. 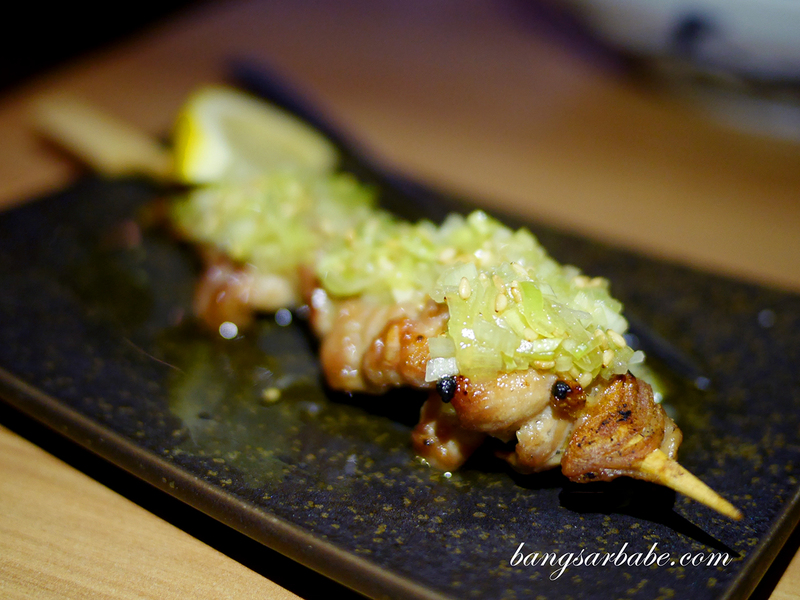 Verdict: Pretty good yakitori items. 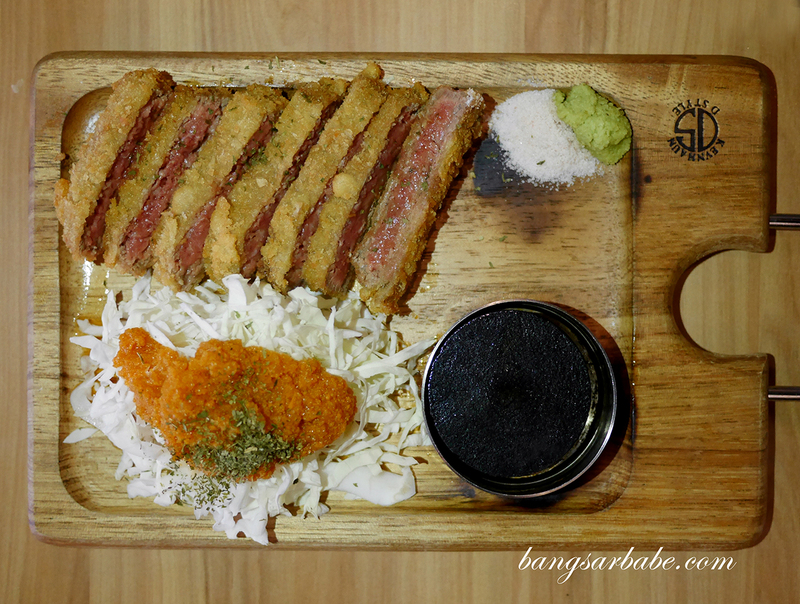 Try the slow-cooked stew and Angus beef cutlet as well.